Are you looking for a Cerne Abbas removals company? Cerne Abbas removals, when looking to move to the Dorset, Hampshire or Wiltshire area, Maidmans Moving & Storage have been providing a removals, packing and storage service for over 30 years and are members of the British Association of Removers. 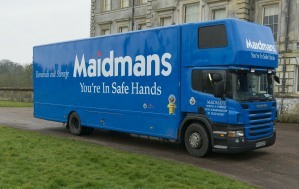 Maidmans Moving & Storage not only offers Cerne Abbas removals but also provide specialist removal services to locations around the UK, Europe and all International destinations. We work tirelessly to provide the best possible service and peace of mind for those looking to move home. The Cerne Abbas postcode of DT2 has a wide range of types of property ages and styles. During February 2016 the average asking price for property in Cerne Abbas was around £323,000, with detached houses around £452,000, semi detached homes at £289,000 terraced property at £251,000 and flats at around £195,000. During April 2017 the average asking price for property in Cerne Abbas changed to around £372,000, with detached houses around £473,000, semi detached homes at £304,000 terraced property at £263,000 and flats at around £201,000. February 2018 and the average asking price for property in Cerne Abbas changed to around £388,000, with detached houses around £496,000, semi detached homes at £315000 terraced property at £266,000 and flats at around £201,000. In January 2019 the average asking price for property in Cerne Abbas is currently £384,000, with detached houses around £473,000, semi detached homes at £347,000 terraced property at £325,000 and flats at around £245,000. Source Zoopla. Are you moving to Cerne Abbas? When planning your Cerne Abbas removals you will find a village situated approximately six miles north of Dorchester in West Dorset. In 2008 it was voted Britain’s “Most Desirable Village” by estate agent Savills and is probably best known for the Cerne Abbas Giant, a 180-foot naked figure carved into the chalk hillside. The giant is owned by the National Trust and is thought to be an Iron Age fertility symbol! The map below shows the location of Cerne Abbas. This Cerne Abbas removals guide is brought to you by www.maidmans.com the removals and storage company serving Dorset, Hampshire,Wiltshire and the surrounding area. This service is aimed at people moving in the area and for those looking for a local removals, storage and shipping company.